Monday I made Pioneer Woman's chicken spaghetti. Such an easy, quick, delicious meal. I actually made it Sunday night and then cooked it Monday. It is perfect for that. Tuesday I wanted a meal that would be easy and quick to make after work. I made the bubble up enchiladas that I've seen floating around Pinterest. This was definitely one of those quick, easy, throw together not amazing meals. But it filled us up that night and that's all that matters on a busy weeknight! Wednesday our bible study started up which means Wednesday nights just got crazy. 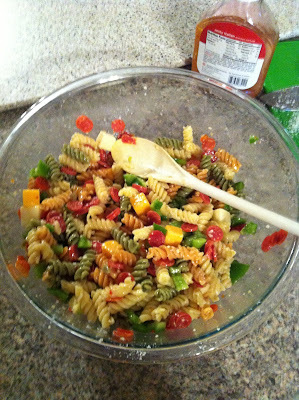 I made this easy pasta salad earlier that day so we ate this when we got home from church. Basically I just mixed together some of my favorite things: Pasta, cheese, pepperoni and green peppers, but really you can do anything with this. I've seen SO many varieties of pasta salad throughout the internets. Thursday we had Chicken Tamale Casserole, because what good is a week if there is no mexican food? This was another good, easy, meal. 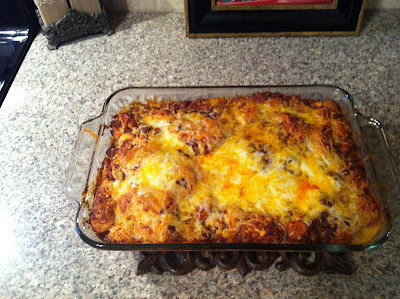 I've made several versions of "chicken tamale casseroles" and this was definitely one of our favs. 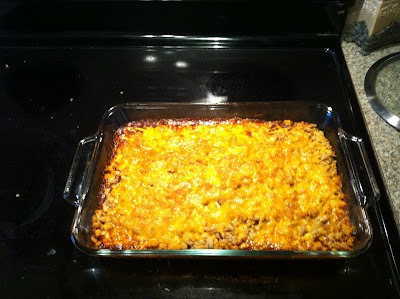 Be sure and check out the other recipes on Rachel's blog! P.S. I think I set the record for using "easy" and "quick" the most times EVER in a blog post. These bubble up recipes seem to be pretty popular these days, I need to give it a try! This looks so delicious and mouth watering. 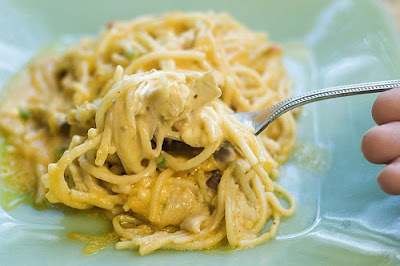 I want to try this chicken spaghetti, it look goods and I think this taste good.